Double CD—over two hours long! Avatar Adi Da responds by illustrating the process of myth-making around Realizers, both in ancient and modern times. He explains that, regardless of what is historically true of any Realizer, any tradition can be understood in terms of the underlying structure of the human being. 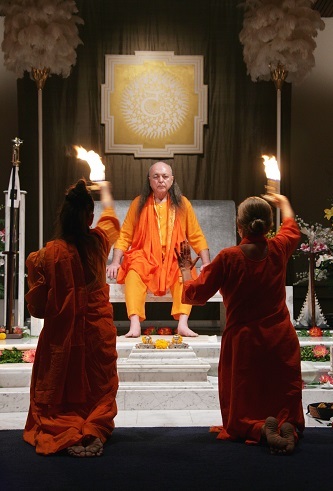 Throughout the Discourse, Adi Da makes use of examples from numerous traditions including Buddhism, Hinduism, Judaism, and the Christian tradition. You cannot "know" this Bodily Form or all the dimensions of its functioning and existence, you see. But you can "know" Me tacitly—and that is what is required to make you My devotee. It is not something explainable or something that can be encompassed by the structures of the body-mind or that could have collectively been encompassed by the totality of all body-minds, all human beings who have ever lived. It is not "knowable" in that sense. I am not "knowable" in that sense. And yet I have always already been the case—and that is why you can recognize Me. . . . When there is recognition of Me, when there is participation in the Condition of My Person, there is Liberation from all substitutes, all metaphors, all that was made much of in order to suggest or bear the weight of the Indescribable—which can also be tangibly Shown, and yet is not limited. 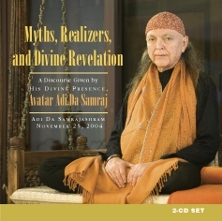 This CD presents Avatar Adi Da’s Discourse of November 25, 2004.